What is the gainer? This is a sports Supplement that consists of carbs and proteins. This product is designed for people who have difficulty are given a set mass, and also for those wanting to quickly gain overall body mass. 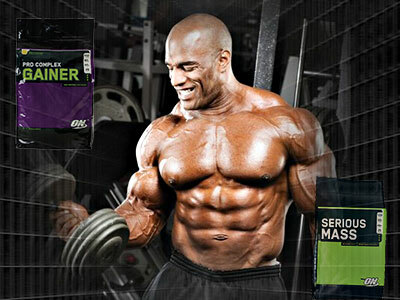 Buy and use a weight gainer most people slim build, wishing to quickly gain weight, for example, for beach season. If you start to use a weight gainer in the amount of two servings a day plus your normal diet and workout in the gym, in a short time your weight will increase significantly. It is not recommended to adopt such mixture of people who are prone to obesity. Otherwise, such a person carbohydrates are converted into fat. Such people need more food. Gainers need to replace proteins and carbohydrates bystrovozvodimye - slow. In the 20th century, when creatine first appeared, their structure was far from modern. Protein there almost was not, all were replaced with sugars and fats. Today the sports nutrition market, you can pick up a weight gainer with a ratio of protein and carbohydrates 50% to 50%. It will be a versatile addition to your normal diet, that is, if you are a beginner and want to gain mass you need to eat 3-4 times a day and in between meals take a weight gainer. After a few months your physique will be much better. Make the best weight gainer almost casupole workout because the body needs time to recover. That's what proteins and carbohydrates. All this, as well as other necessary components are contained in the weight gainer. Your muscle tissue will be easier to regenerate and, accordingly, to increase in size. Many people use a weight gainer before training. High calories will give you energy, so you will be able to train more intensely, which will lead to better muscle growth. The quality heavy workouts and good nutrition and taking gainer you will gain good muscle mass in a short time.